C.F. Bennett and S.T. Crooke, Regulation of Endothelial Cell Adhesion Molecule Expression with Antisense Oligonucleotides. C. Thiemermann, The Role of Arginine: Nitric Oxide Pathway in Circulatory Shock. M. Koltai, P. Guinot, D. Hosford, and P.G. Braquet, Platelet-Activating Factor Antagonists: Scientific Background and Possible Clinical Applications. A.W. Grasso and G.Y. Wu, Therapeutic Implications of Delivery and Expression of Foreign Genes in Hepatocytes. R.J. Kreitman and I. Pastan, Recombinant Toxins. E.D. Hall, J.M. McCall, and E.D. Means, Therapeutic Potential of the Lazaroids (21-Aminosteroids) in Acute CNS Trauma, Ischemia, and Subarachnoid Hemorrhage. K.K. Griendling, B. Lassegue, R.W. 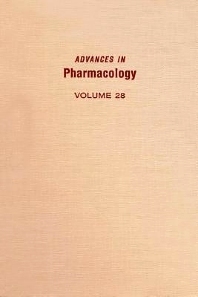 Alexander, and T.J. Murphy, Angiotensin II Receptor Pharmacology. P.A. Lartey, H.N. Nellens, and S.K. Tanaka, New Developments in Macrolides: Structures, Antibacterial, and Prokinetic Activities. Subject Index.